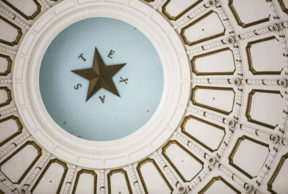 As the 84th Texas Legislature is set to begin, one state rep hopes to change the course for women’s health care. Women’s health issues were a lightning rod last legislative session. Abortion was one major issue, but funding and access to breast cancer screenings and well-woman exams were also at stake. State Rep. Donna Howard, D-Austin, is vice chair of the Texas House Women’s Health Caucus. She recently recorded this commentary special to Texas Standard about what this legislative session may bring.